Only the lower hull timbers remain. This wreck is of little interest to divers, but may be of interest to snorklers and kayakers. West of the wreck site there is a huge debris filled area that consists of residue and cuttings from the saw mill, numerous lumbering and saw mill artifacts and the remains of a once the extensive Kreetan Company lumber docks. 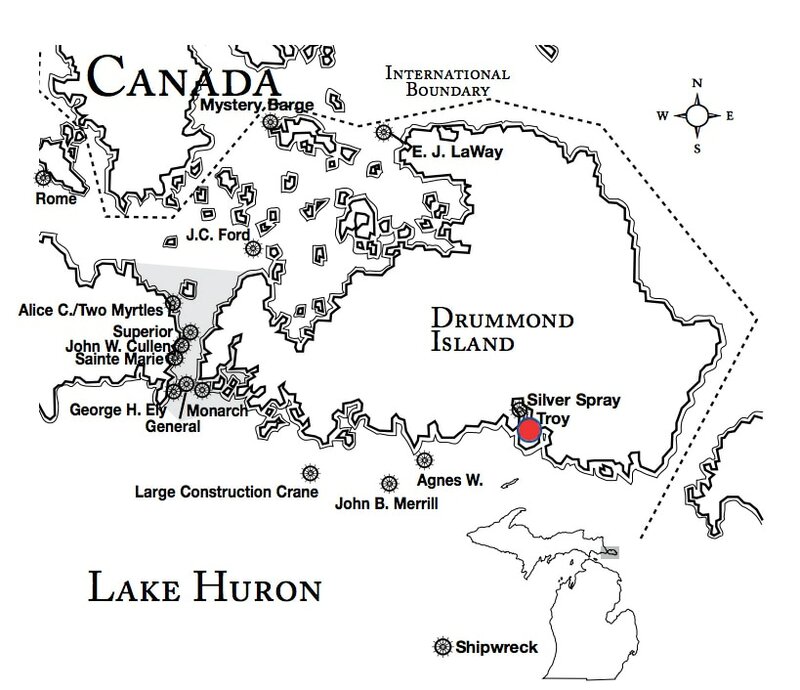 Wreck Location: The wreck lies in 5-10 feet of water in the north eastern corner of Scammon Cove a few yards west of the Wayfarers Mart dock.